During the test process, the interferometer in use emits two beams of light. One travels to the mirror and bounces back, and the other goes to a reference within the interferometer. The interaction between the two beams of light is recorded in an image called an interferogram (the black and white image in the photo to the right). The lines in the image are called interference fringes, and each one represents approximately 300 nanometers. A tight grouping of lines indicates a steep change in the height of the surface, much like tight lines on a topographic map indicate steep terrain. A “perfect” mirror interferogram would be a solid color, because its measurements would be recorded as a single fringe. But according to LSST Telescope and Site Mechanical Engineer Tucker Booth, achieving perfection on individual mirrors isn’t the goal. 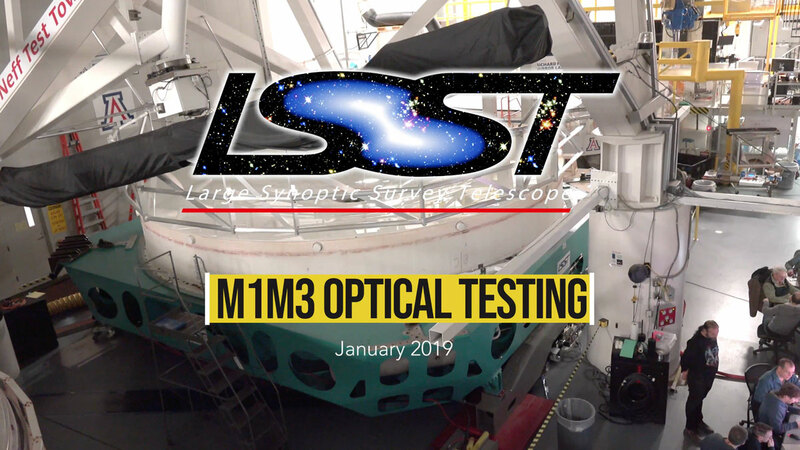 Instead, it’s the optimization of the entire M1M3 monolith that will ensure the best possible images during LSST Operations.